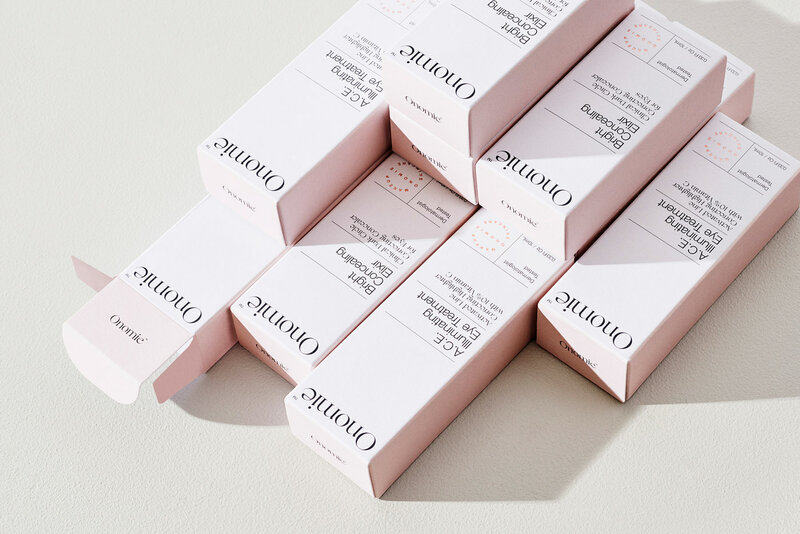 Onomie is a boutique beauty brand focused on combining skincare and makeup, manifested in their elegantly minimal product suite. Onomie was struggling to find its identity and voice amidst the product surplus in the beauty world. 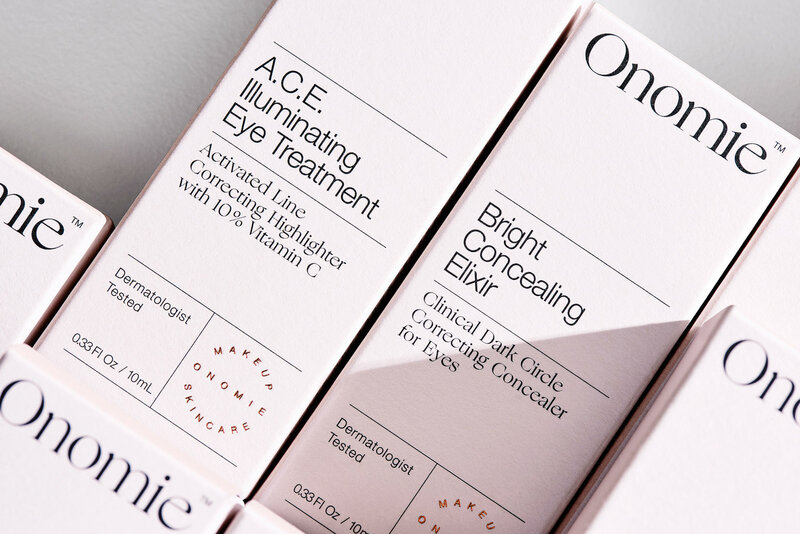 Onomie has a simple suite of 4 key products, all scientifically engineered to have multiple skincare and makeup benefits. Taking care of one’s skin, and enhancing one’s appearance with foundations and concealers have become some of the most prevalent issues for women today. It is a billion-dollar industry that is marketed fiercely, after all. 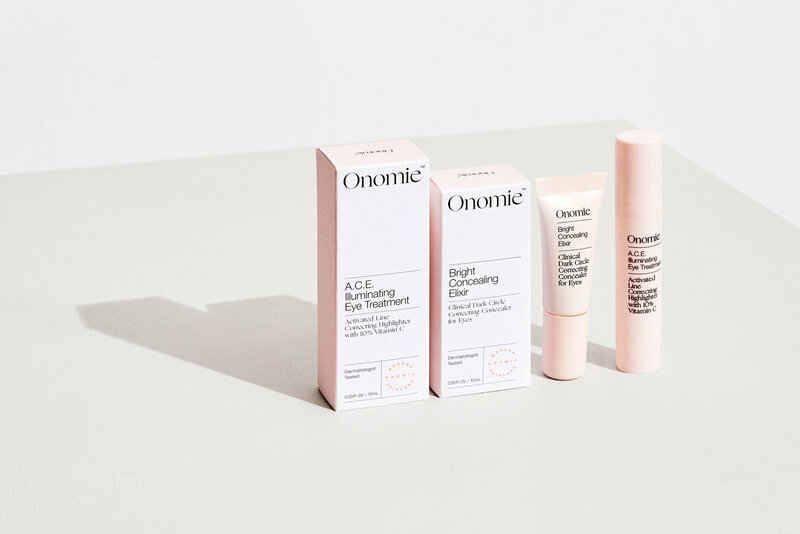 But where most lines usually cater to one category, Onomie has made it point to create products that do both. Essentially: makeup that also treats skin long term. And though the idea is certainly not new to the market, Onomie has placed a greater emphasis on this duality, making it the cornerstone of the brand. Onomie aims to attract consumers by gaining their complete trust. This is done largely in two ways. Primarily, it strives to be as ethically conscious as possible, testing its products through third-party laboratories, thereby ensuring an honest account of its effectiveness. Secondly, Onomie’s direct-to-consumer model enables a closer relationship to shoppers. It’s website offers programs and consultations that encourages feedback and trial runs. Onomie was created for women who recognize that beauty should not be complicated. We didn’t start Onomie by thinking about what product category—whether it is concealer, mascara, or eye shadow—we wanted to compete in. Rather, we started development by thinking about the women the brand is built for. We want to support intelligent, ambitious women leading purposeful lives. We looked at her values, her interests, and her motivations. We knew we wanted something that is streamlined to fit her on-the-go lifestyle, and that’s why all our products are cross-category—and sometimes why it’s hard for us to explain whether we are makeup or skincare. Onomie is a play on the Latin suffix “-onomy” which means body of knowledge. We see beauty in intelligence and strength, and that’s built into the DNA of our brand. HOW DOES THE BRAND STAND APART FROM OTHERS? 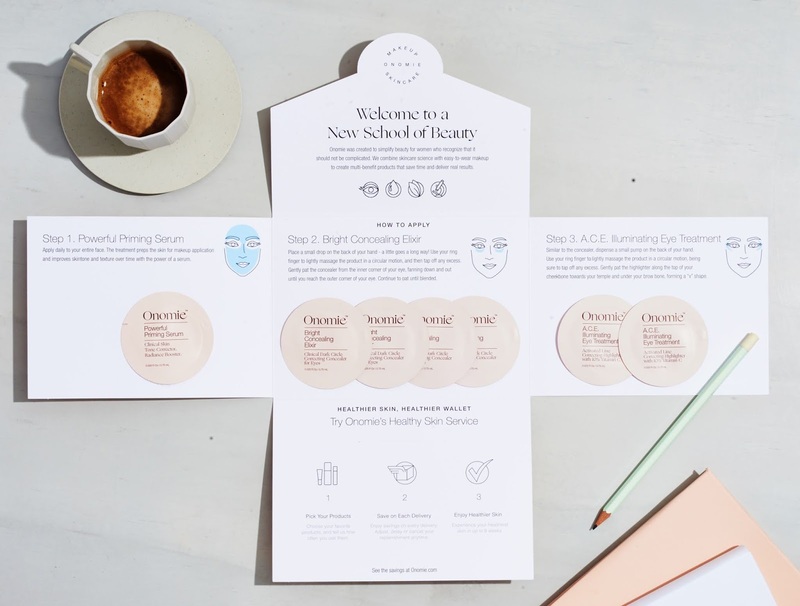 What differentiates us is that we are combining skincare and makeup in one—creating beauty products that give you that instant makeup effect that’s actually good for your skin in the long term. Skincare for us is not an afterthought. We invest in clinically testing all our products through a third party to get unbiased results. WHY DID DECIDE TO SELL DIRECT TO CUSTOMERS? We want to tell our story ourselves. Going directly to consumer allows us to curate every step of the process, from when the customer first meets us online to the unboxing experience. With a small team, it’s hard to keep that quality launching simultaneously in multiple channels. We are striving to find new ways to connect with customers, whether it is through our “HomTry-OnOn” program or testing out shades through Skype consultations. When we find ways that will allow us to keep the same quality of experience across new channels, we will build those out. THE ADVANTAGES OF USING THE PRODUCTS? All the products are multi-purpose and multi-benefit, giving you the best of worlds in skincare and makeup for a natural, healthy look.